Photo extracted from "The Philippine Island World, a Physical, Cultural and Regional Geography." 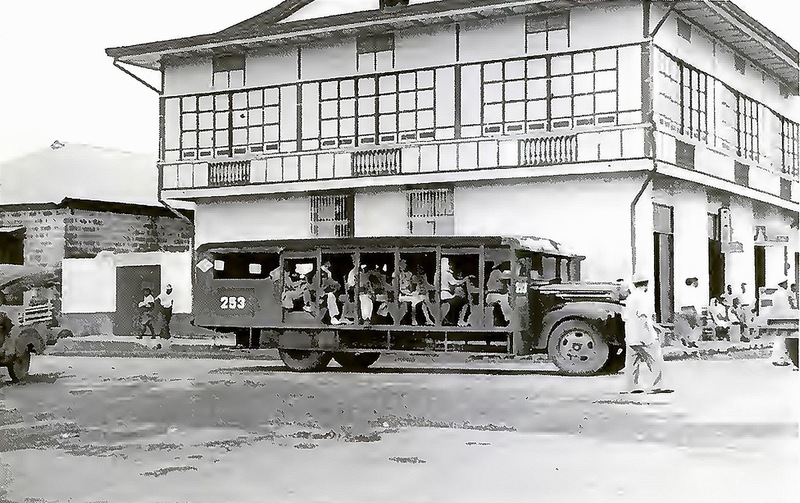 The photograph above shows an antiquated bus of the Laguna Tayabas Transportation Company, sister company of the Batangas Transportation Company or BTCo, driving through the poblacion of an unidentified town. It has been extracted from a digital copy of the book entitled “The Philippine Island World, a Physical, Cultural and Regional Geography1,” which was published in the year 1967. Buses of this type could still be seen on the roads of Batangas as “recently” as the 1970s. 1 “The Philippine Island World, a Physical, Cultural and Regional Geography,” by Frederick L. Wernstedt and J. E. Spencer, published 1967 in the United States, online at the Internet Archive.